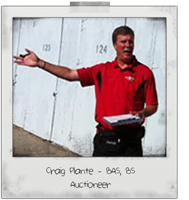 Started his career as an auctioneer by graduating from the Missouri Auction School in 1984. Having a speech impediment and taking 5 years of special speech in grade school made becoming an auctioneer a huge challenge. 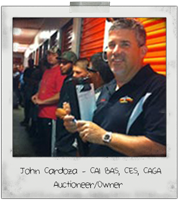 In the course of his career, John has earned his CAI, (Certified Auctioneer’s Institute) one of less than 20 auctioneers in the State of California. John also graduated from the Charter class for his BAS (Benefit Auction Specialist), received his CES (Certified Estate Specialist) and is a Certified Appraiser with CAGA (Certified Appraiser Guild of America). John is currently on the Board of Directors for the Western States Auction Association. 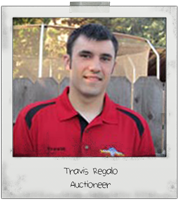 When he is not working with auctions, John enjoys motorcycle riding, Dancing, and cruises. He met his love, Donna on Match.com in 2002 and the rest is history. John has a daughter, Melodee, his son-in-law Caleb, and two grandchildren Autumn & Braden. Retired after twenty five years as a 9-1-1 Police and Fire Emergency Services Dispatcher for the City of Turlock. If that wasn’t stressful enough, she is now involved in the day to day operations of Storage Auction Experts. Sometimes you might even see Donna at the auctions! John shocked everyone (especially Donna) by proposing to her while conducting the auction for the annual Turlock Police Department Christmas party (how appropriate) in 2006. Donna was widowed in 1999 and has two daughters, Christina and Stephanie. Christina is married to Jason and is a Store Manager for a major baby retail store. Her husband Jason is an auctioneer for Storage Auction Experts. They reside in Gilroy with their two pit bulls. Donna's other daughter Stephanie works for the State of California as an Attorney. Her husband, Tarek, is a personal Banker for a major bank. They are the proud parents of daughters, Elliana and Mila, they live in Sacramento. 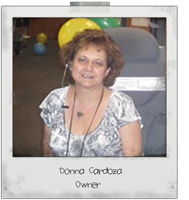 While not at auctions Donna enjoys reading, jewelry making, baking and travelling and spending time with her girlfriends. She loves her animals and likes to become involved in her community towards a good cause. Craig is usually seen with his beautiful wife, Elena. His son, Steve, is retired from the Stanislaus County Sheriff's Department and is a Medal of Valor recipient. Steve and his wife, Kristin have two daughters, Kaylee and Alyssa. His daughter, Michele, is a CSO at Marina Police Department and won the 2016 Civilian Employee of the Year award. Michele has a daughter, Paige and a son, Ace. I have been working with John my whole life volunteering with nonprofit auctions and always had the desire to work with auctions. I come from a big family who is always there to support me, and I am grateful for having wonderful parents with a keen sense of humor. I am the youngest of 4, I have one sister and two brothers, both who are in the military. I’m looking forward to learning more of life’s lessons, as I have recently become an uncle to a beautiful baby girl. My Family and I are always involved with our community and non profits, the most common charity you would find us would be in Hopeton (by Snelling) located at the Saint John’s Festa grounds. I am Portuguese descent as is common here in the Central Valley and I have become active with this culture. When I am not with Storage Auction Experts, you can find me bullfighting or hanging out with my team as I am a “Forcado” for Aposento de Turlock. This has taught me a lot about life and the history of the culture, and how important it is to stay active in our community. I am looking forward to meeting all of our friends with Storage Auction Experts! 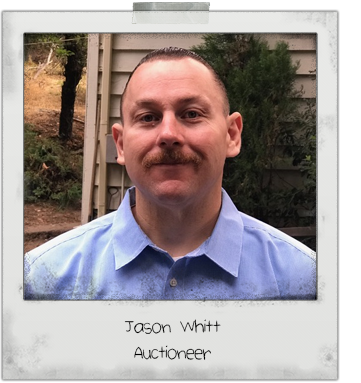 Jason decided to change careers after being involved with recovery programs for 11 years. Jason was a drug and alcohol counselor for 7 years and was promoted to an intake coordinator. Jason is happily married to his wife Christina and has one son. In his spare time Jason is an avid Oakland Raiders fan. Jason is a member of the Impalas car club and has 2 1968 Impalas. Cory Murphy, office manager by day, quilter by night. Cory has a background in bookkeeping and merchandiser management that lends itself well to the day to day operations of managing the auction and lock-cut schedules for John, Jason, Craig, Travis and Stephen. She and her husband have a blended family of 3 boys and 3 girls that they jokingly refer to as the Murphy Bunch. They also have 5 grandchildren. The three oldest grandchildren arrived within 6 months of each other so they didn’t just dabble in the grandparent thing, they dove in headfirst. 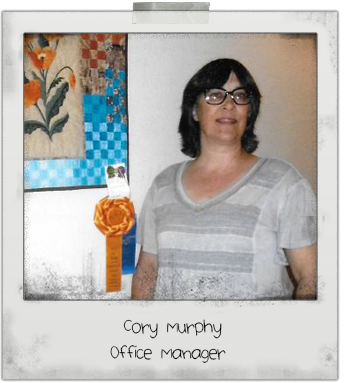 When not working with Storage Auction Experts, Cory is Free-motion quilting for clients. Cory learned to quilt in high school from her Mom and friends. She tells people her Mom gave her the quilt bug and she hasn’t been able to shake it. Cory also leads the Hugs Ministry of First Southern Baptist Church of Waterford. She and her friends (Brenda included) make quilts for children in crisis situations. They are given to the local fire departments and police departments to have on hand when the need arises. 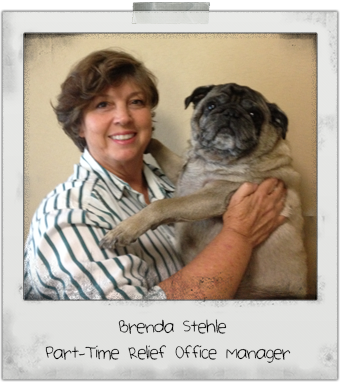 Brenda has come out of retirement to join our team after a very satisfying career in emergency services. Starting with records and security at Modesto Junior College while obtaining her Associates Degree in Criminal Justice, she cut her teeth on dispatching at Ceres Police Department. She loved her career at Turlock Police Department starting in 1976 until 2011. Most of her years were spent in 9-1-1 Emergency Services, then on to records, retiring only to return part time to "float as needed" through records, administration, neighborhood services, detectives and, dearest to her heart, animal services. She and her husband, Larry, who is also retired from a long time law enforcement career, have three adult daughters and four grandchildren (more if you count the "honorary daughters and grandchildren). Three "adoptees" from animal services keep them from having "empty nest syndrome". Melodee lives in Oregon, and is John Cardoza’s daughter. 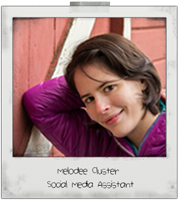 Melodee assists with social media, and emails the auction updates as well as sends tweets via Twitter. She was raised with a healthy amount of positive auction exposure. Melodee is happily married to Caleb Cluster, and they have two children; a daughter named Autumn, and a son named Braden. Melodee graduated with her Associates of General Studies in June of 2014, bachelor’s in Speech Communication in 2015. She is currently pursuing a Master of Arts in Interdisciplinary Studies with a Speech Communication focus and is expected to defend her thesis that discusses negative effects of sedentary living in the United States. Her husband, Caleb graduated from OSU also with a bachelor’s in Manufacturing Engineering, and is employed at a local company. Aside from working at Storage Auction Experts, Melodee currently teaches public speaking (Comm 111) at Oregon State University. Melodee is also a Mary Kay Independent Beauty Consultant, and enjoys assisting women with their skin care and cosmetic needs. Besides work, Melodee enjoys spending time with family, and friends. Melodee and Caleb have multiple hobbies, and enjoy doing just about anything exciting; travelling, shopping, rock climbing, camping and many other active pastimes.